Office managers, receptionists, secretaries, and other administrative professionals spend a lot of time on the phone, both making and receiving calls. If you’re new to the field or looking to brush up on your phone etiquette, check out this guide to maintaining a high level of professionalism in your daily communications. Answer by the third ring. Whenever possible, don’t let the phone ring more than 3 times before picking up. Also, don’t answer after one ring. You may catch the caller off guard. Smile! 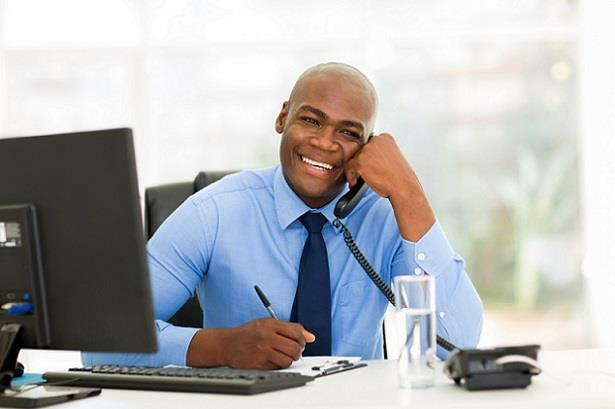 While the person on the other line can’t see you, talking to them with a smile on your face will affect the tone of your voice and make it nearly impossible to sound unpleasant. Do not eat or drink while on the phone (including chewing gum). Even if you consider yourself a quiet chewer/swallower, it isn’t worth the risk of grossing out the person you’re speaking with (you never know how sensitive their hearing may be). Listen attentively. Active listening is a critical skill when communicating with someone in person and via phone. Don’t interrupt the caller or attempt to multitask, and ask for clarity when needed. Ask permission before transferring or putting someone on hold. Indicate who you are transferring them to and/or give an estimate of how long they may be on hold. After returning to the call, thank the individual for holding. Always tell the other person if they’re on speaker phone. Aside from simply being polite, you’ll avoid potentially awkward situations. Also, tell the caller who else is participating in the conversation. Leave short voicemails. Make your messages as short as possible, though don’t talk too quickly. Slow down as you provide your phone number so the listener doesn’t have to repeat the message multiple times to capture the information they need.